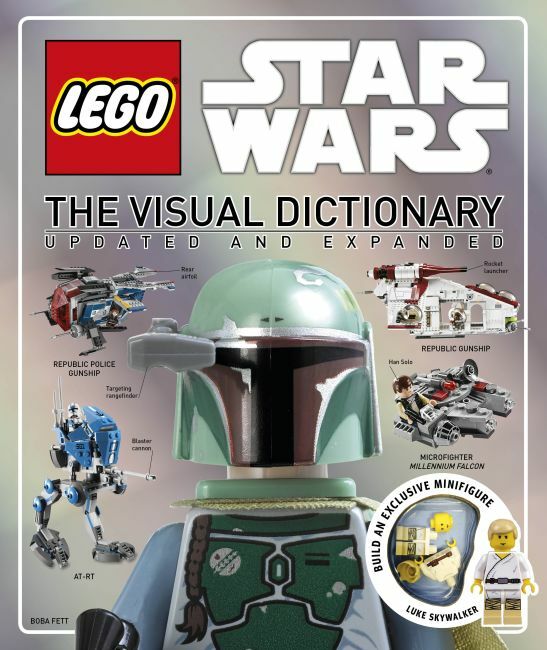 With more than two million copies of the original sold worldwide since 2009, DK now brings you a fully revised and updated edition of the #1 New York Times bestseller, LEGO® Star Wars®: The Visual Dictionary. Complete with 48 additional pages and updated throughout to show all of the new sets and innovations from LEGO® Star Wars®, LEGO Star Wars: The Visual Dictionary: Update and Expanded provides detailed and annotated photography giving insight into the characters, locations, creatures, and spacecraft of the LEGO galaxy far, far away. Young Padawans will learn the ins and outs about their favorite vehicles, weapons, and minifigures such as Anakin, Yoda, Luke Skywalker, and Darth Vader. Fans of all ages will learn about every LEGO Star Wars set released while exploring the updated cross sections that expose the inner workings of larger-piece sets such as the Death Star or Millennium Falcon. The updated "Beyond the Bricks" chapter goes behind-the-scenes to take a look at how LEGO sets are made, new models, plus fun fan creations. Of course this book would not be complete without an exclusive LEGO Star Wars minifigure, which is sure to impress even the most dedicated collector.